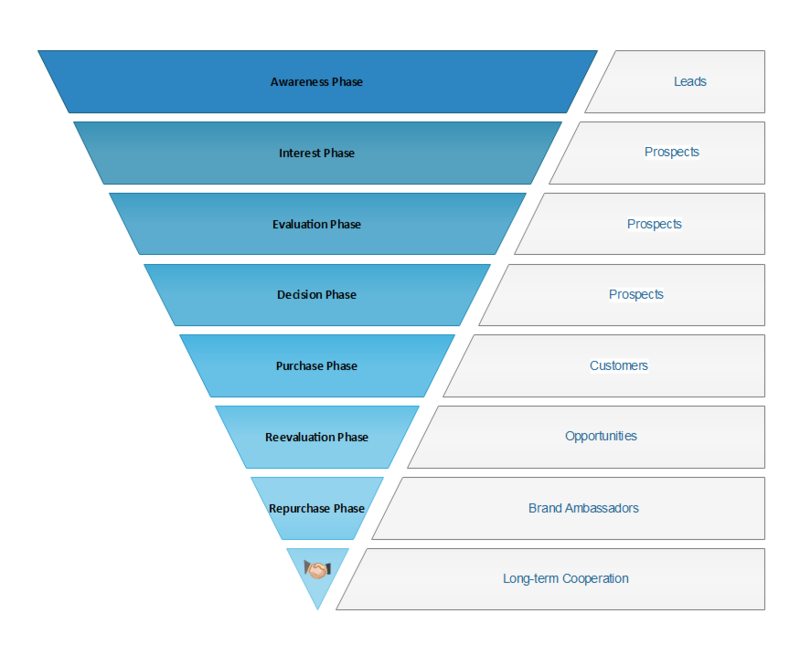 What is sales funnel? This article will discuss the definition of sales funnel. A sales funnel, also called a purchase funnel, a revenue funnel or sales process, visually represents how a sale proceeds in a linear fashion from customer awareness to customer action. Awareness Phase: this is the widest part of the sales funnel. Through your marketing actions, prospects becomes aware of your product or service. Decision Phase: after consideration comes preference, negotiation begins. Purchase Phase: goods or services are purchased.